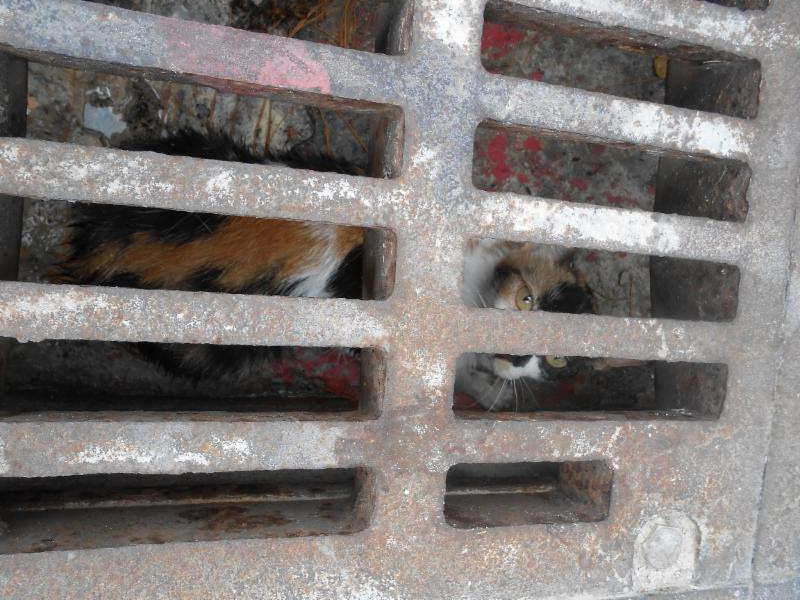 Thanks to a ‘joint operation’ by the SPCA and the Corporation of St George’s, a cat that managed to get stuck under a drain grill in St. George’s was safely rescued. The SPCA said, “Our inspector had an emergency call out. A cat was stuck under a drain grill in the town square of St. George’s. It is a mystery how the cat got in the drain. 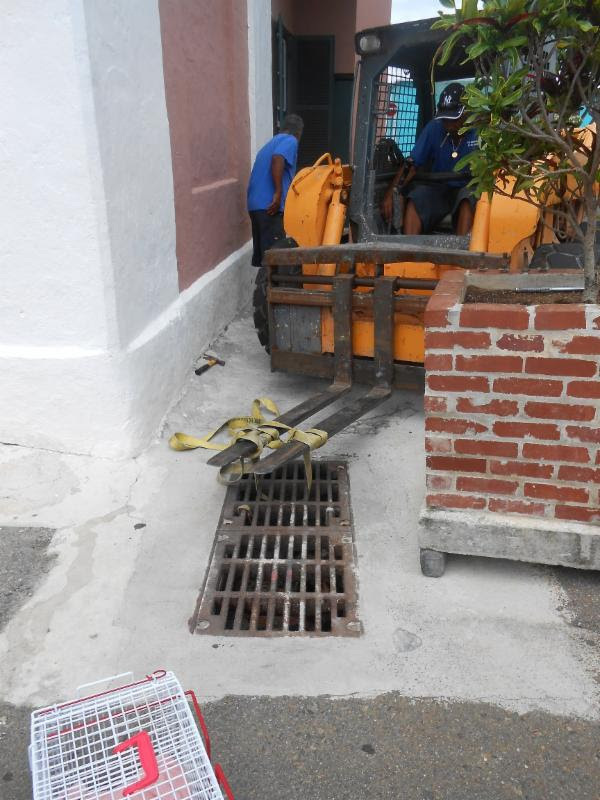 “The grill was very heavy to lift by hand, so a call out to the Corporation of St. Georges was placed. They assisted with a fork lift and removed the drain grill. The cat had no injuries, and was a happy cat once rescued. “Thank you to Chris, our Inspector, and the Corporation of St. Georges for looking out for the cat’s welfare,” the SPCA added. Me thinks the cat saw the Reza show over the weekend. I hope they kept their loud bad language down whilst doing this rescue.